401602 SJ 15F MITSUBISHI LO Purifier SJ 15F - Final Drawings with Spare parts. 401604 SJ 10F SAMGONG MITSUBISHI SELFJECTOR Purifier SJ 10F - Set of Instructions and Spare Parts catalog. 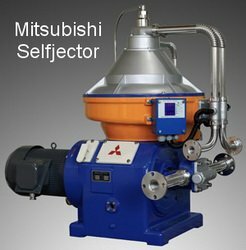 401606 MH-06 Mitsubishi Selfjector Genius Series MH-06 Purifiers - Instruction & Maintenance Manuals. 401701 HH 160 HUTCHISON HAYES , L.P. Separator Model HH 160 - Instruction manual with Spare Parts List. 53 pages.